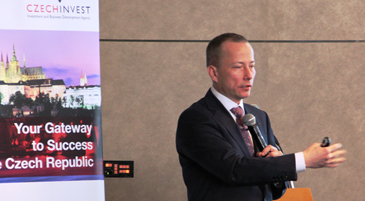 This is evident in the strong interest shown by Korean companies at the “Invest in the Czech Republic – Your Gateway to Europe!” seminar organised by the Association for Foreign Investment and CzechInvest with support from the Ministry of Foreign Affairs of the Czech Republic and AFI partners. The seminar, which took place in Seoul on 25 February, was attended by Czech Prime Minister Mr. Bohuslav Sobotka, who is providing support to Czech companies engaged in commercial activities with their Korean counterparts during his current trip to Korea. 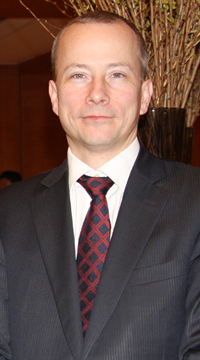 Czech investment lawyer Kamil Blazek serves as chairman of AFI (Association of Foreign Investment). He visited Seoul recently as the leader of the large-scale investment delegation. Chairman Blazek said that S. Korea, Japan, and China are the key Asian nations. He added that AFI helps the foreign businesses to enter Czech martket mediating between foreign investors and Czech government. The multi-lingual lawyer travels extensively, making speaches and counselling businesspeople.